Zephir Coarse Compound - 34oz. Keramik Fine Compound - 34 oz. Diamond Ultra Fine Polish - 34 oz. Quarz Medium Compound - 34oz. 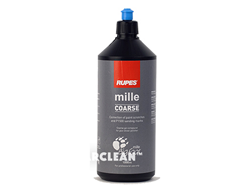 Coarse Mille Compound - 34oz. 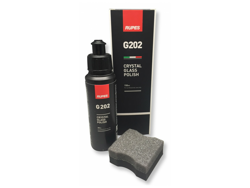 DSI Automotive Products stocks the Rupes Compounds and Polishes that are formulated to work the Rupes BigFoot polishers. These Rupes products such as Zephir Gloss, Keramic Gloss and UHS, are the primary compounding and polishing products to use with the Rupes. The RUPES Big Foot Polishers enable the use of the whole surface of the RUPES Pads. When using traditional rotary buffers and polishers, it is necessary to maintain the buffer inclined as compared to the work surface due to the high temperatures that develop on the surface being buffed, which reduces the useful surface of the buffer up to 40 %. 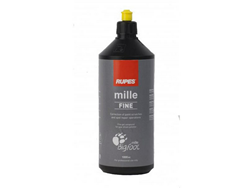 The random orbital movement and advanced technical features of new RUPES polishers maintain the superficial temperature within acceptable limits end eliminate the risk of “burning” the clear coat. Not only will you achieve the best & glossiest finish with no swirls, but you will be able to do it in much less time than with a conventional rotary polisher.